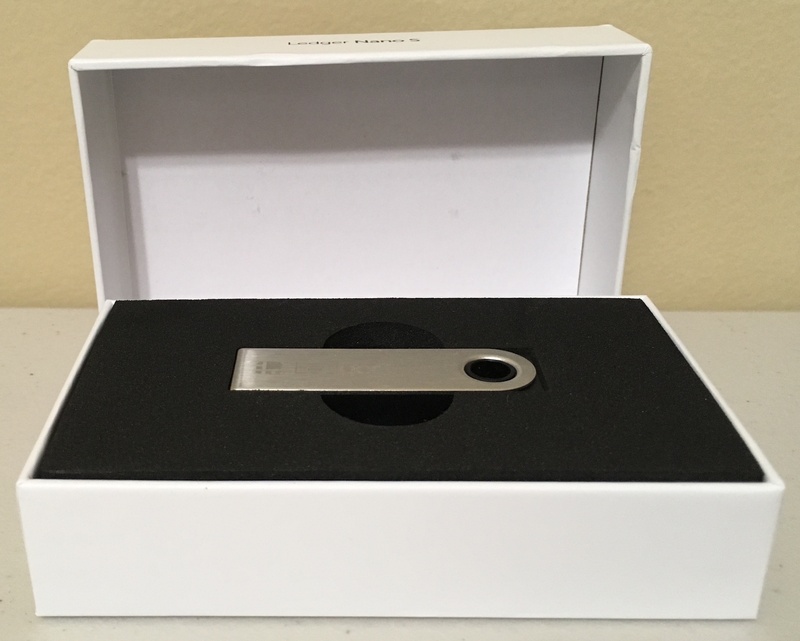 The Ledger Nano S can be ordered here (affiliate link). Go to start.ledgerwallet.com and follow the instructions there to prepare the hardware wallet. 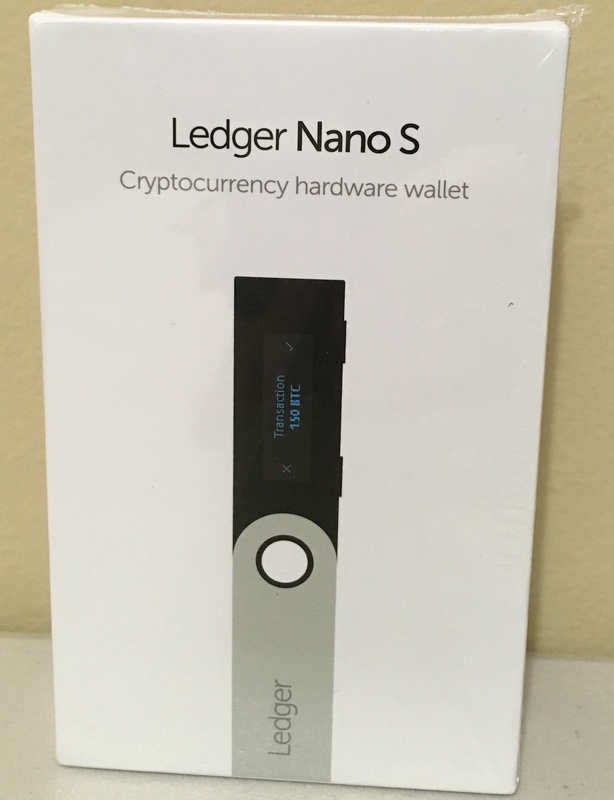 I am not going to give detailed instructions on how to get the device up and running as they are available at start.ledgerwallet.com and may change with future updates. 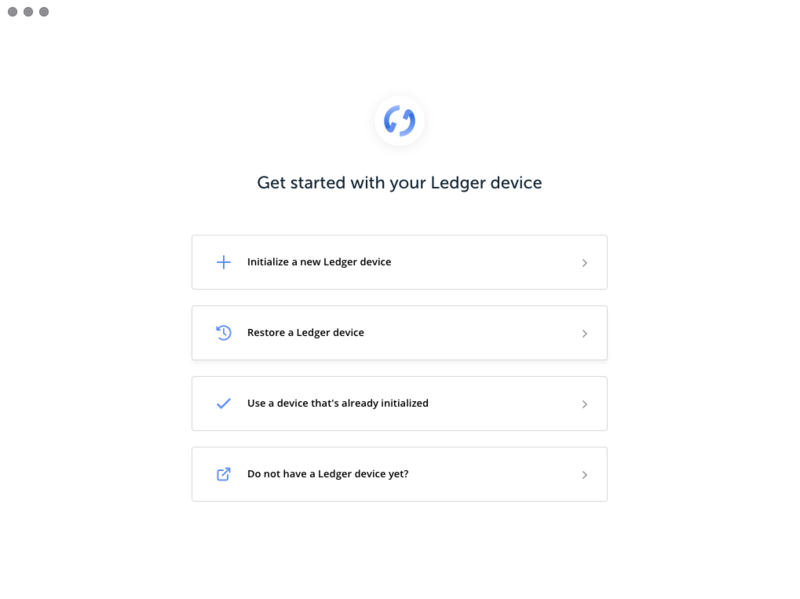 The current instructions are easy to follow and included installing the Ledger Live app, initializing your Ledger Nano S by creating a pin and saving your recovery seed (very important!). After that, you need to install apps to the Ledger Nano S and then add accounts to your device before adding your crypto accounts. 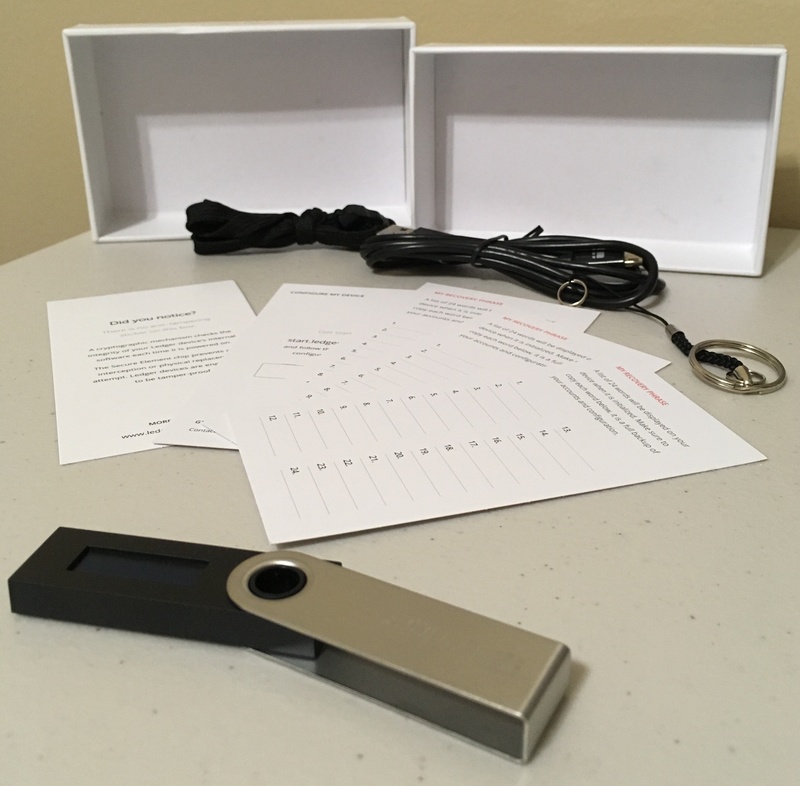 The Ledger Nano S has only two buttons, and it has menus to navigate. This is accomplished by using the left button as a ‘up’ or ‘left’ button, the right button as an ‘down’ or ‘right’ button and both buttons simultaneously as an ‘enter’ or ‘continue’ command. 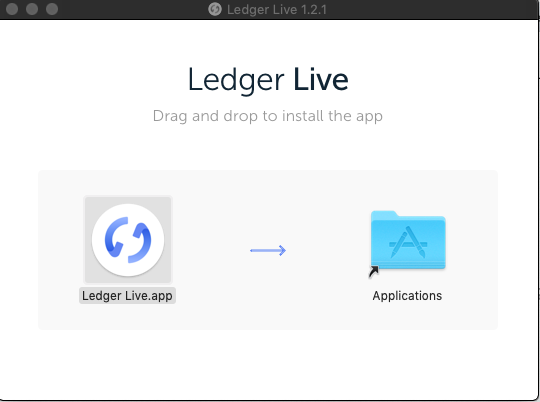 Using the Ledger Live app that you have installed to your computer, you can select one of your accounts on the lower left corner of the app. Once the account is selected, ‘Send’ and ‘Receive’ buttons are visible. Selecting the ‘Receive’ button will give you the address at which the Ledger Nano S can receive funds for that account. The address shown can be copied and pasted into the app you are sending crypto from (or given to a friend so that they can send crypto to you). Why use a hardware wallet? 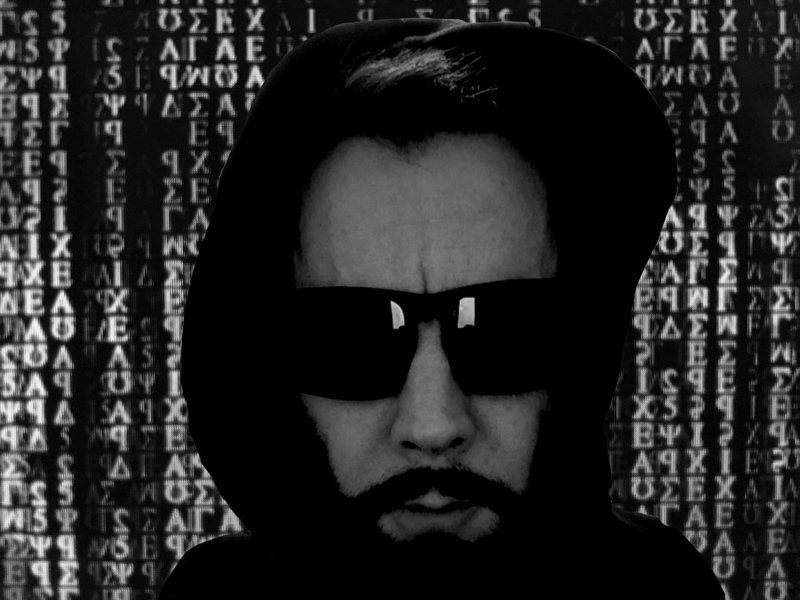 Bitcoin has not been hacked, but exchanges seem to be routinely hacked. Storing coins on an exchange exposes the owner of the coins to the same risks of the traditional banking system (i.e. getting locked out of your account, having your funds frozen ,etc.). Where as properly protected coins can be protected from these things.Bad players – storing coins on an exchange equals trusting that the exchanges owners and employees will not steal your coins. After considering this, as a newbie to crypto, I downloaded the Jaxx wallet and the Bread (now BRD) wallet and stored my crypto on my phone. Maybe many people do this, it certainly is convenient. Purchasing goods and services at local vendors is convenient with a phone wallet, it is always with you. The phone wallets are very easy to use and all the ones that I have used are available free of charge. BUT….phones are connected to the internet nearly 24/7 and are therefore able to be attacked 24/7. 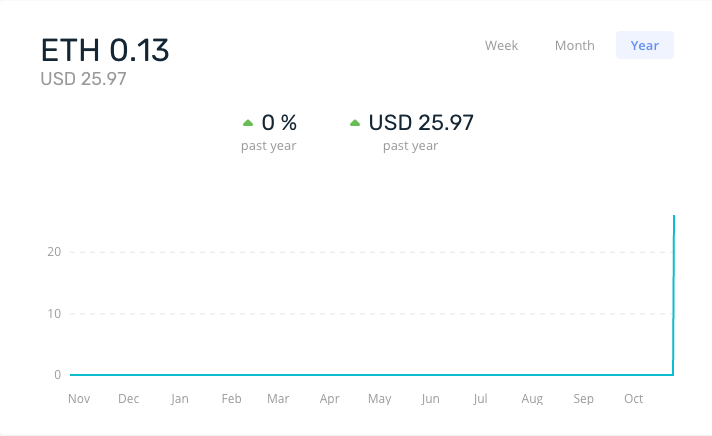 This is a significant disadvantage and risk as you start to acquire more crypto. This risk associated with phone wallets creates an opportunity for manufacturers of secure hardware devices that are not connected to the internet. This is why I checked out the Ledger Nano S.
As a philosophical technologist, Hari is concerned with emerging innovations and how they impact our life. Mr. Seldon spends much time separating the outstanding from the paltry and incorporating only holistic beneficial technologies into his life.